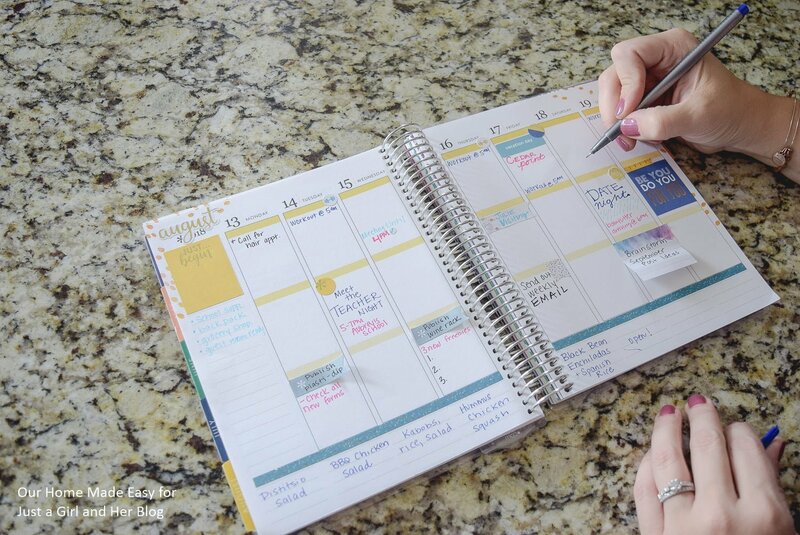 Make the most of your planner with these quick and easy strategies that are easy to implement! With these helpful planning tips, you’ll be more productive in no time! It’s no secret that I love, love love to plan! I know that if I take the time to write things down and plan out my days, weeks, and months, I am much more likely to accomplish my goals and use my time wisely. I’ll let Brittany take it from here! Hi, it’s Brittany from Our Home Made Easy. 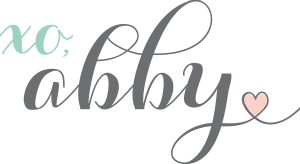 I am excited to be joining Abby today! 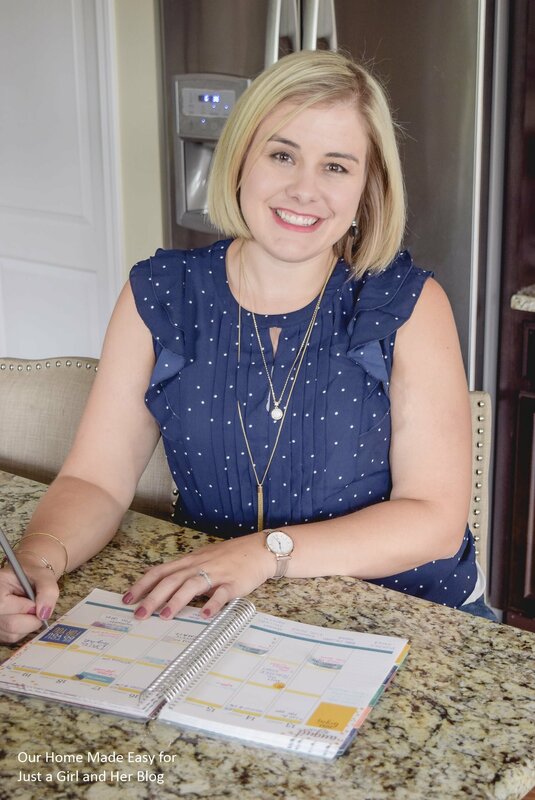 Like Abby, I am a busy working mom who is always looking for ways to stay organized in order to make life easier. 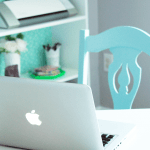 If you are a fellow organizing fan, I encourage you to join my free 6 Week Declutter Challenge. 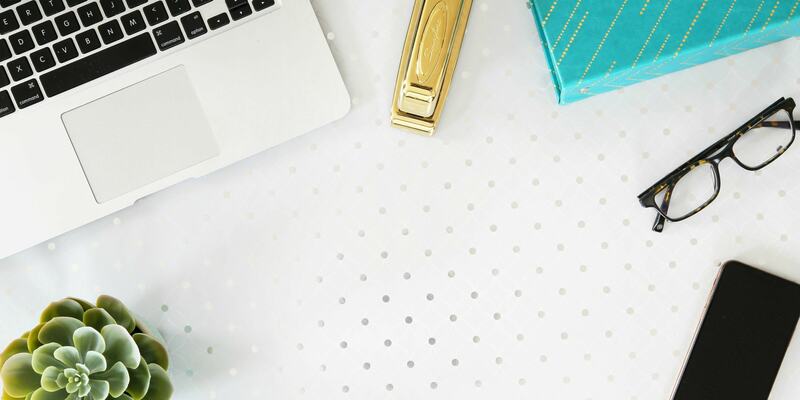 One of the biggest ways I stay organized throughout the week is going old school– with paper and pens. 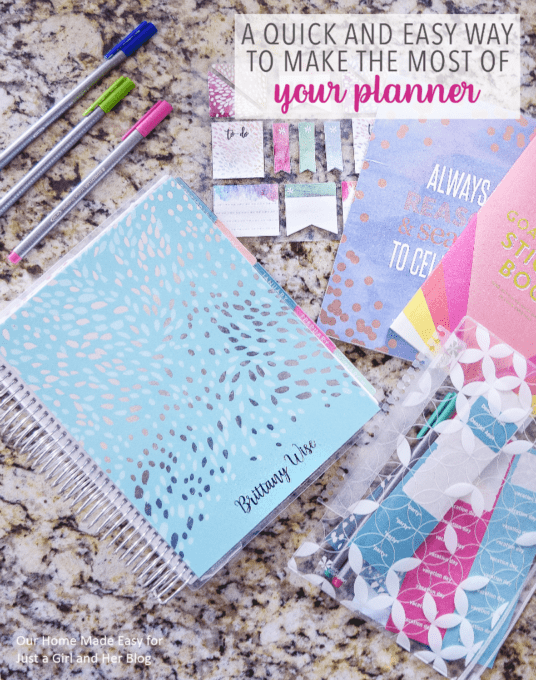 I’m a devoted planner lover. But it’s not always easy to find the right planner. 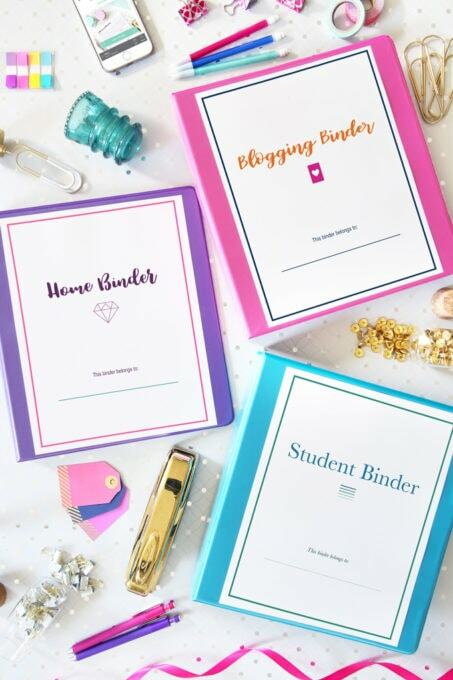 When it comes to finding the ‘right’ planner, the choices are overwhelming! 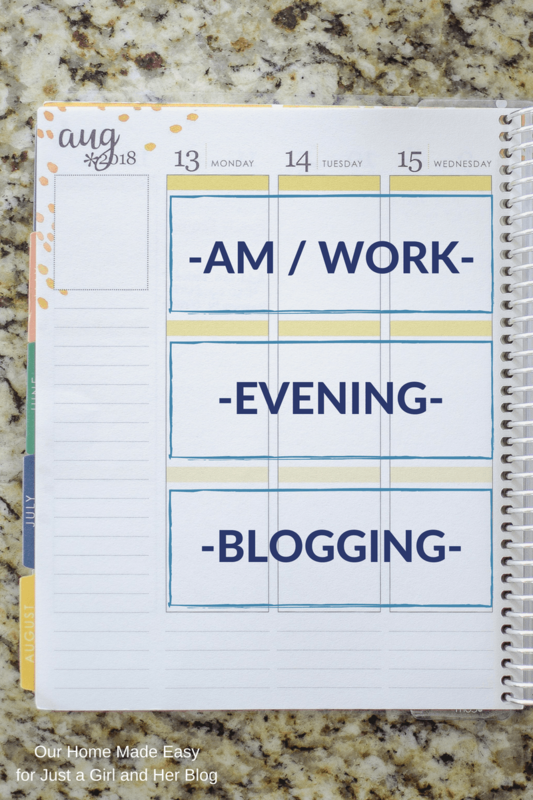 If you are researching planner ideas just in time for the new school year, I wanted to share a peek into how I use it every single week. It’s not fancy, but it works well & it’s easy to maintain each week. 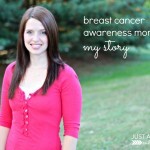 A little bit about my life behind the blogging scenes… I’m a full time working mom. 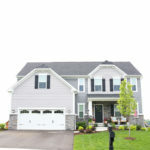 After my little ones go to bed, I put on my blogger hat and keep up with easy ideas over at Our Home Made Easy. And it’s not easy everyday balancing my work to-dos with my little one’s school projects and then blogging ideas. For me, planning helps me prioritize my day. I cannot do everything– but I try to do most items and remember the important to-dos! And that’s why I use my planner! 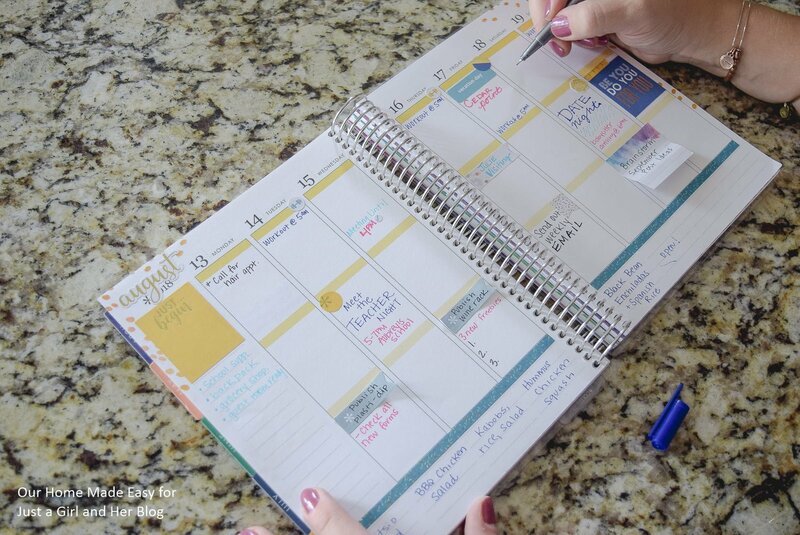 If you’ve never used a planner before, it can seem a bit overwhelming. I recommend that you slowly start easing into it and finding ways that it will make your day easier rather than cause more work. 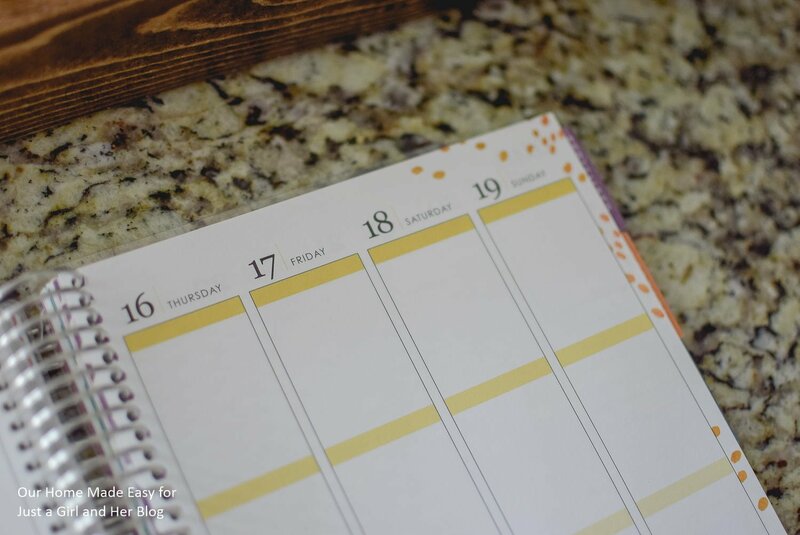 If you don’t mind, I’d love to share how I use my planner every day to help give you an idea of how you can use your next planner! 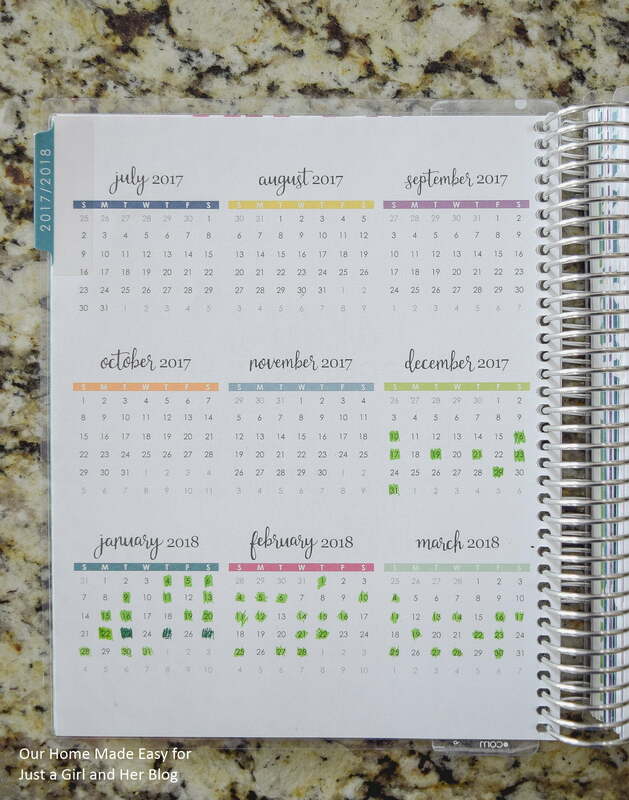 For 2018 I’ve been using the Erin Condren LifePlanner™, in the vertical layout. It’s simple which makes it easy for me to keep using all year long. 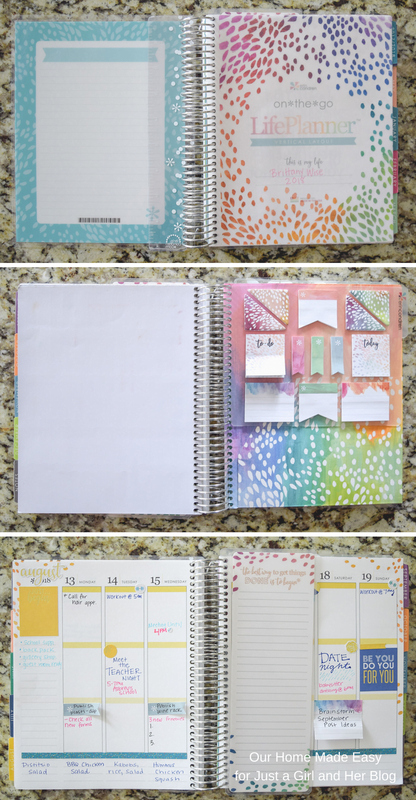 When it comes to deciding on an Erin Condren planner cover, there are so many options available! Admittedly I would probably be still deciding on a cover here in August if my husband, Jordan, hadn’t bought the planner as a birthday gift for me back at Christmas time. He made an excellent choice and I was excited that I was able to kick off the New Year with a cool planner. 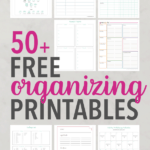 And it’s been such a help in keeping me organized as I move through each week. Most planners break out each day with hourly time blocks, but that wasn’t what I needed. My day job has routine hours and very rarely changes. The majority of my day wouldn’t have anything filled in since I was at work, doing normal work things. If I had a role that required me to manage my work hours or often had appointments during the day, the hourly would’ve been a great option. Inside this vertical layout, each day is broken out into 3 blocks– it’s up to you to decide on how you want to use those blocks! In the top block, I write down anything happening out of the ordinary during the workday. This is where I jot down an early exercise class, the kids’ dentist appointments, and days where I have a late meeting. This helps keep me make sure that I adjust my work schedule. Since my gym charges $12 for class cancellations made after an 8-hour window, I know that when I write down the class time in that first block, that I’ve already booked it in the app. This gives me an idea throughout the week if I need to make an adjustment in my gym’s app so that I don’t miss a class & get charged a late fee. In the middle block, I write down anything that needs to be done in the evening, after work. This could be signing school papers, buying class goodies, or even if I need to prep because our family is visiting. Using this space allows me to just jot down all my to-dos around the house in one spot. Some weeks I’ll fill up the spaces as the week continues on, other weeks it’s pretty empty. Finally, in the bottom block, I write down anything that is important for blogging. While not everyone has an extra job, it’s a great space for dedicating to a large project. 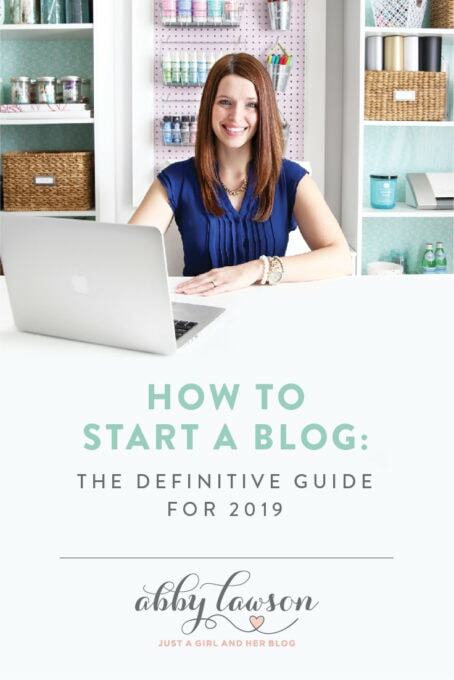 For my fellow bloggers, I’ll use this space to write down blogging to-do’s, launch emails, goals for the week, and upcoming affiliate flash sales. As I brainstorm throughout the week, my to-do list will occasionally creep up into my evening block. At the end of the week, I’ve filled about every inch of blogging blocks! Inside the weekend blocks, I start in the morning and write down what we have scheduled. If we have a date night scheduled, I’ll write it down, along with the babysitter who is coming and what time she is confirmed to arrive. Aside from weekend activities, these spaces are usually left blank. You’ve probably noticed that my planner isn’t overly colorful inside. I try to keep a pretty clean planner without going too sticker crazy. I have a monthly sticker book from Erin Condren and use a snap in sticky notes. I use the sticky notes for appointments/items that may move around. I’ll also use them for lists that I can move around throughout the week. You’ll notice that I have a blank dashboard that lets me flip to my current week quickly. I can add long-term to-dos with a dry erase marker (don’t worry- it doesn’t rub off easily). These items may be goals that I have for a month or longer. Also inside the planner, I have a ruler to help make straight lines, in case I need to break up a block. Lastly, I have a clear pouch that snaps in the back of my planner. It holds several pens & loose stickers. At the bottom of each day, I meal plan for the week. While my husband, Jordan, & I talk about dinner plans for the week, I’ll usually forget what we are supposed to have which night. Since I arrive home before Jordan each evening, it’s nice to glance at our dinner plans in the afternoon and already be mentally prepared for what I’m going to start prepping when I’m home. As I’m prepping dinner I will pull out meat for the next night from the freezer. It’s a quick way to be prepared for the next day. Admittedly, I don’t use the month at a glace part of the planner much. Right now it’s not something that I’ve worked into my days. However, there is one spot that I regularly update— the year at a glance! This may seem strange, but it’s a little sense of pride. I color in the days where I exercise. I started making exercise a priority in early December 2017. Since then I’ve been coloring in my workouts to give myself accountability. Not to mention, I like coloring in the day and don’t enjoy seeing large areas where I didn’t work out. If you are thinking about building towards a goal, use that yearly calendar to show days when you make progress towards it! It’s such an effective & simple motivator. 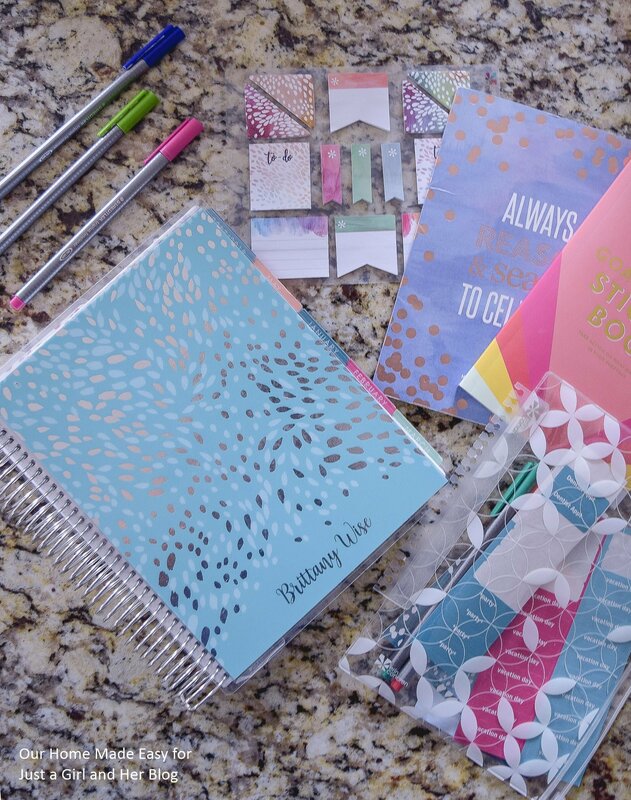 When you’re planner shopping, consider these items before you take your planner home! Need Daily Hour Lines versus Blocks versus One Open Space? Want to See Month At-a-Glance versus Weekly? A planner is only great when it works for you & your needs. 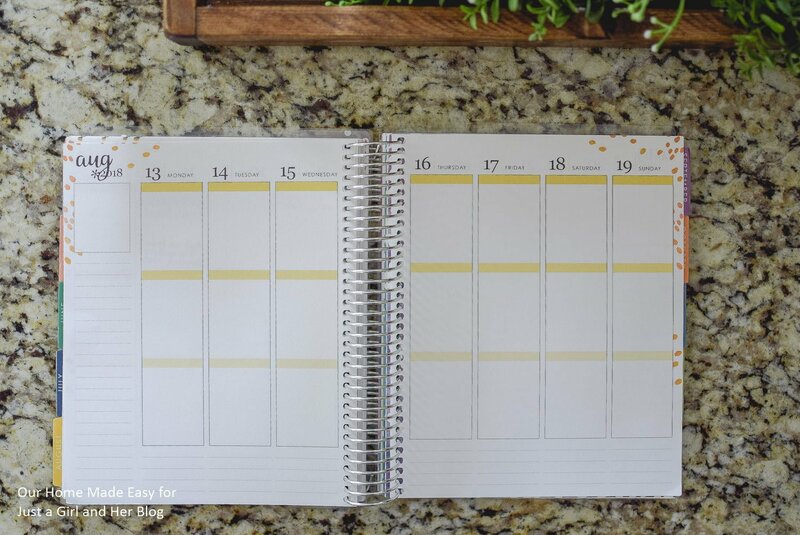 Before you pick up this year’s planner, take a few minutes and think about how you will really use it and how it makes your life easier to manage. For me, it’s this simple planner. I appreciate that you stopped by and read how I use my planner. 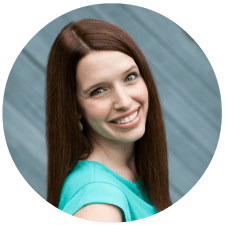 I hope that I shared some insight on how you can make your own planner work for you. Remember to think about how you want to use your own planner in your everyday life. Thank you so much for joining me here today! So many helpful strategies that I want to work into my own planning! 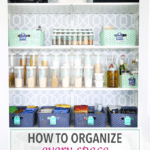 For more creative organization and home ideas, be sure to pop over and visit Brittany at Our Home Made Easy! How to Set Goals… That You’ll Actually Accomplish! 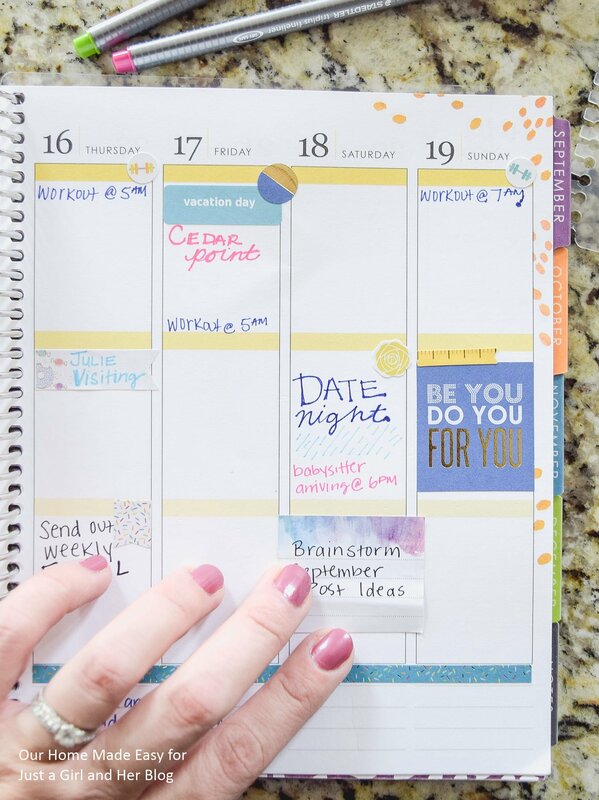 Love the breakdown idea for the planner! Your planner is beautiful. Thank you for sharing. I loved it, too! Gave me some great new ideas! 🙂 Thanks for stopping by, Elda! Aw, thanks so much, Nisha! It’s been a busy summer around here. I promise they’ll be back soon! 🙂 Have a great weekend! 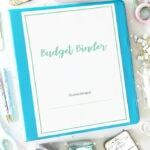 Planners make my heart go pitter patter, so this post was great! I appreciate learning new (with pictures!) 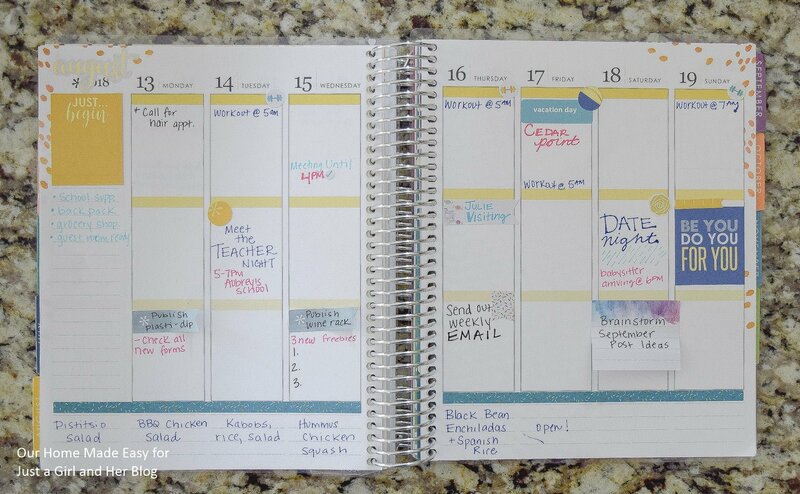 ways to get the most out of a planner. Thanks Brittany and Abbi! 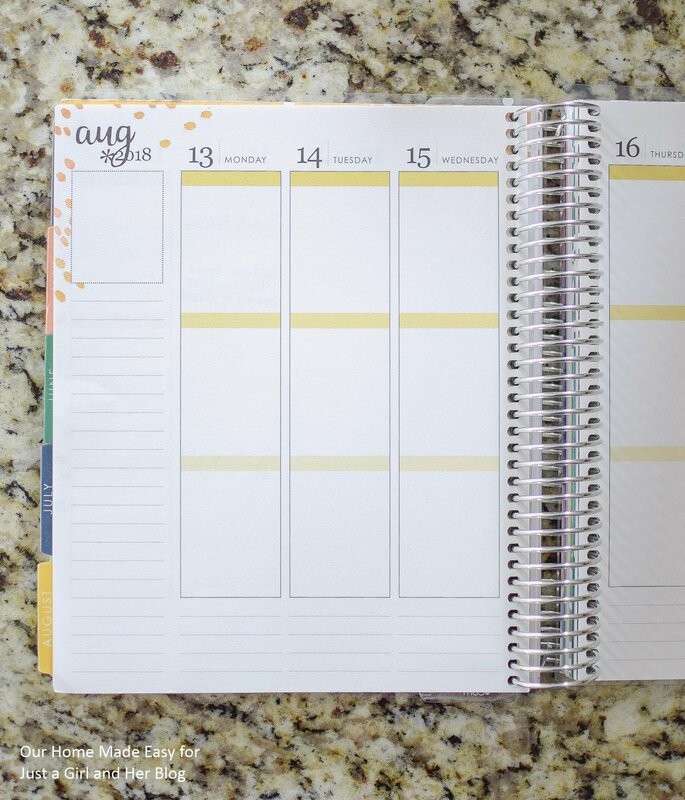 I just bought a new planner last month, and this was really helpful.Great post,with some easy to implement ideas! Thanks Brittany & Abby! I have been using a planner for over a year and love it. It is so old school but much easier to organize things. I love your suggestions for breaking down each day into three buckets. I always find my blog stuff gets hidden in my planner so I’m going to try separating it into its own block on my planner. Thanks for the suggestion, love your stickers! I’ve been looking for THE planner all year long. I finally decided to just buy a large sketch book and make one myself until I figure out what works for me. I love the idea of 3 blocks of time instead of hourly. Hourly planning always made me feel like I was behind or I had to stop working on something once the time was up. Thanks for this tip. I’m going to try it out this week in my homemade planner! Thanks for the great ideas, Brittany and Abby! I just received my new planner from LWSL (Living Well Spending Less) and I can’t wait to start using it! I love seeing how other people implement theirs. 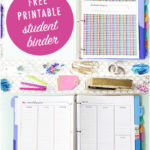 Planners, if used, make life so much easier! Great post!